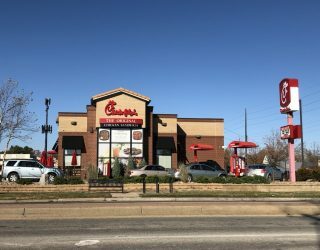 Meddy’s Review – Wichita By E.B. Sometimes the best way to get a grasp on the quality of a restaurant is to gather a bunch of friends and grub on an assortment of menu items. Go on, order a variety of items and see what everybody thinks. That was my goal in checking out one of Wichita’s latest Mediterranean restaurant: Meddy’s. Meddy’s is located at 7906 E Harry St at the northwest corner of Harry and Rock. (Website: http://meddys.com/) For us, it was best described as “fast food” Mediterranean. You order your food at the counter; they give you a number and bring you your food fairly quickly. Their menu posted on their wall includes falafel, chicken and beef shawarma, salads, kabob wraps, and more. My group went in the late afternoon when it wasn’t too busy. We ordered the following items off of the menu: Build your own bowl with chicken over rice, a chicken shawarma wrap, a shawarma and hummus combo, beef shawarma wrap, fries, fattoush salad and the Mediterranean salad. The staff at the time didn’t seem too knowledgeable on some items. For example, when ordering the shawarma wrap, we asked if it came with shoestring fries and the young lady nodded but we didn’t realize the shoestring fries came INSIDE the wrap. We would later find out it was one of the ladies first day there. We gave her a pass on that. The time it took to order food to receiving food was only about 10 or so minutes; fairly quick. It should be noted that out of the five of us who went, only 3 have had Mediterranean food at other Mediterranean restaurants in Wichita. So this was a new experience to two people in our group. After thirty minutes of eating, talking Shocker basketball, people watching and eating some more, everybody reached a verdict. The Build Your Own Bowl was not tasty. My friend didn’t finish it at all and wasn’t sure if she’d ever go again. One friend had the chicken shawarma with fries and liked his food. His food and said he’d give it a go again. He commented that he really loved their fries. Another friend had a beef shawarma and wasn’t sure he really liked his meal. He also had a Mediterranean salad and it wasn’t his preference for salads. He also had the rice and was done after two spoonfuls. He’s not the most adventurous eater though and sticks to what he likes. He too commented on how great the fries were. 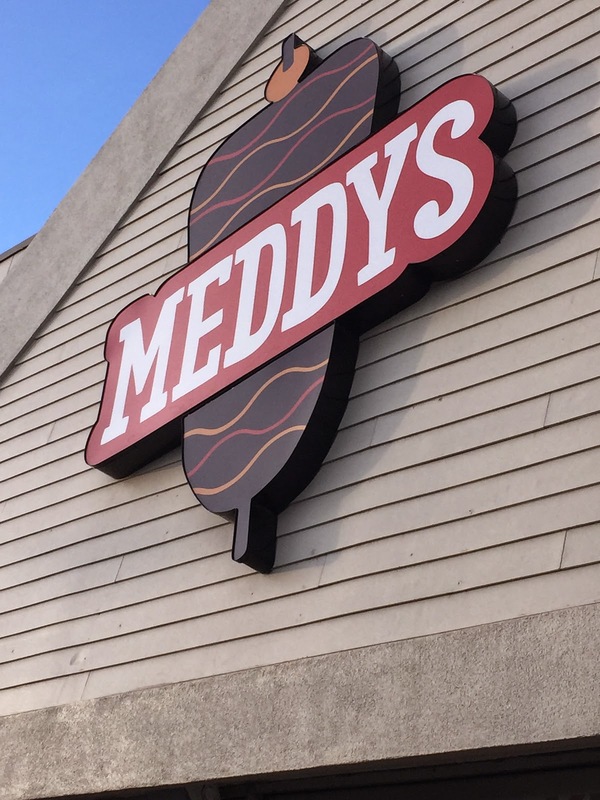 Another friend had the chicken shawarma and felt it was pretty average and wasn’t sure she would go out of her way to make it to Meddy’s in the future. To keep with the consistency, she mentioned the fries were really good. I had the beef shawarma and hummus combo. It’s best described as ok. The hummus wasn’t amazing but it wasn’t bad. The beef was pretty dry. I also ordered the fattoush salad and it was pretty delicious. I actually finished that compared to my combo meal. The fries? I had to admit they were good. Judging by all comments, we all came to a conclusion the place was average to below average. The best part of the meal was the fries and that’s a problem if you’re going to a Mediterranean restaurant for fries. There are plenty of Mediterranean options in Wichita and this one would be lower on our list of places to try. Overall a thumbs down by our group. If they removed the “M” from their name, we may be inclined to give the place a thumbs up though.